(Sponsored post) Tourbillons are designed to counter the negative effects of gravity on a watch’s precision. 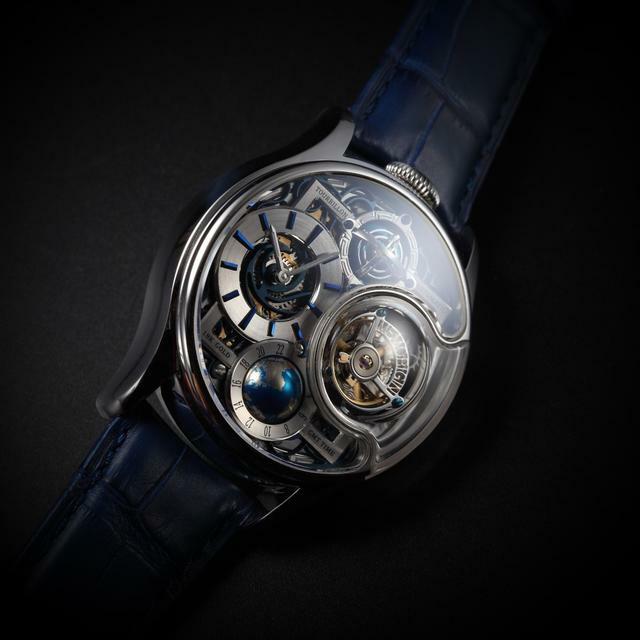 Patented first by Abraham-Louis Breguet in 1801, the tourbillon is a device that includes a balance wheel and escapement on the same axis rotating 360 degrees, so as to reduce the rate difference error caused by gravity. The flying tourbillon is a variation of this initial design. Devised in Germany more than a century later, the flying tourbillon is notably only supported from one side, which gives the impression of ‘flying’ without the more traditional bridge support on the top and bottom. Based in Hong Kong, Memorigin manufactures in-house flying tourbillon movements, as guided by more than forty years of mechanical watchmaking experience. All Memorigin tourbillon watches are produced using high quality components (from different countries) in a strictly controlled and monitored production process. 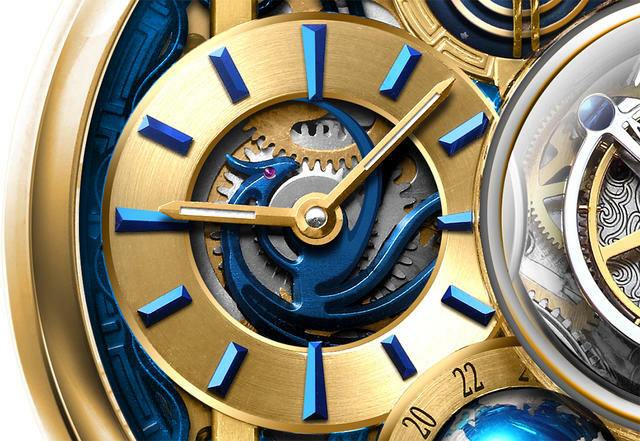 Among its most recent debuts, the Memorigin Stellar Series Imperial highlights its flying tourbillon expertise by displaying the complex device at the 3 o’clock position on its three-dimensional gold, skeletonized dial. 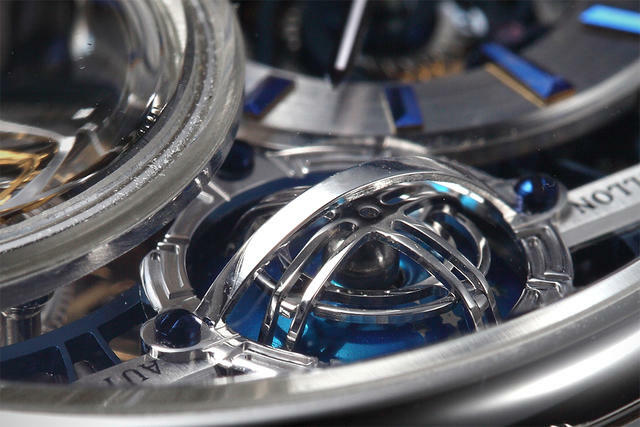 With ‘Memorigin’ displayed on its cage, the flying tourbillon (which rotates once per minute) also functions as a seconds display. A ‘hidden’ dragon appears under the flying tourbillon only if eyed through a special sapphire window on the side of the watch’s brushed gold-plated case. Whether forged from yellow gold or white gold, the dial on the Stellar Series Imperial watches attract the eye with multi-level odes to space and time. 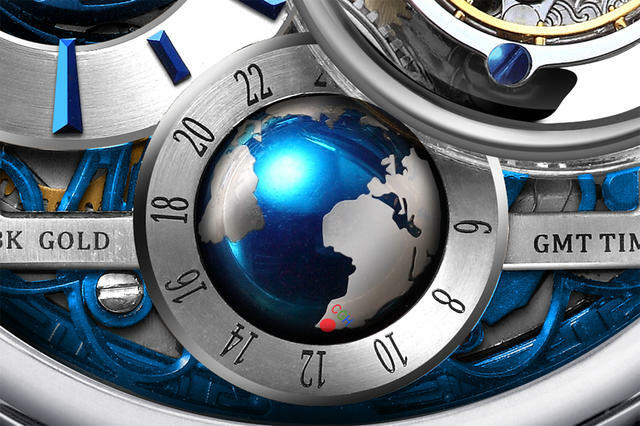 The GMT globe on the Stellar Series Imperial Silver model. 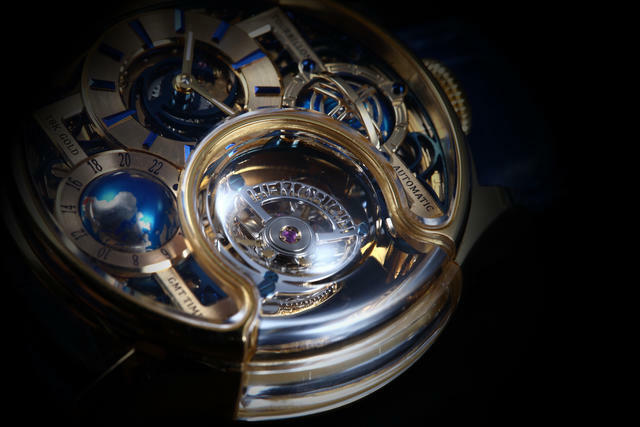 Just below the flying tourbillon, the earth rotates as a GMT time indicator. At the 12 o’clock position, Memorigin has built an ancient Chinese planetarium in gold. The hours and minutes rotate at the left side of the dial. These displays are seemingly linked in space with an engraved gold bridge that also frames the functions within the 43mm round case. 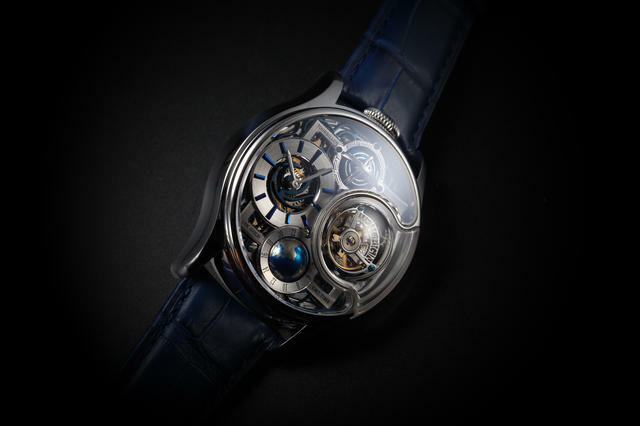 Memorigin tourbillon watches, including those in this Stellar series, are designed by top Hong Kong designers and collectors. The company is also well known for its movement-engraving capabilities. Clients frequently request personalized watches that forever preserve memories within its many creative watch designs. 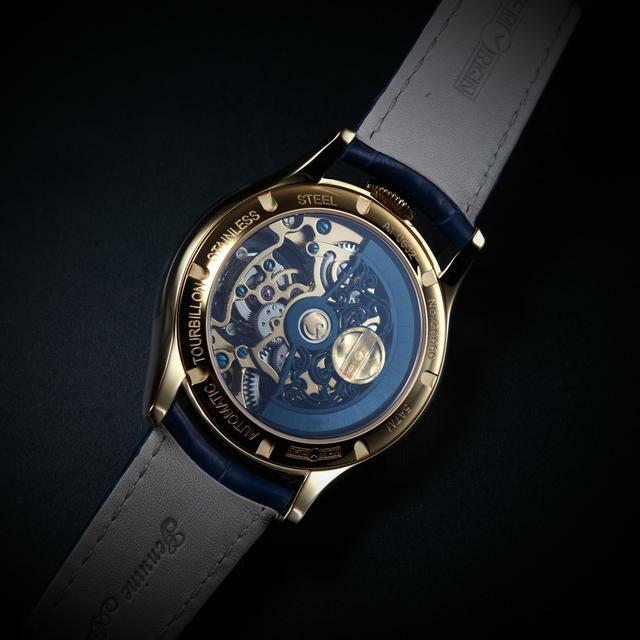 Note the Phoenix hidden within the Stellar Series Imperial Gold dial. 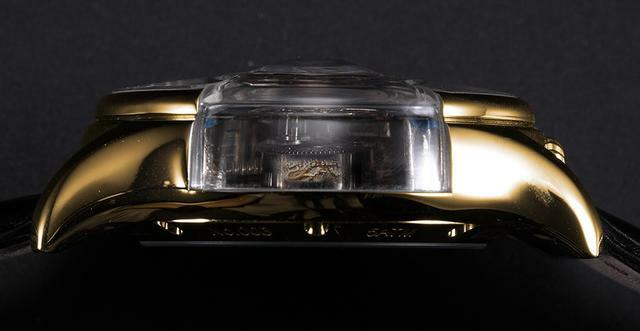 As noted, Memorigin makes the 43mm Stellar Series Imperial watch in either steel or plated yellow gold. Price: $7,629.